Well, we are into our third weekend in January and California still hasn’t seen any rainfall. Reports are coming in that we are on the verge of experiencing a drought. How does that song go. “It never rains in Southern California.” Tony! Toni! Toné! spoke the truth. 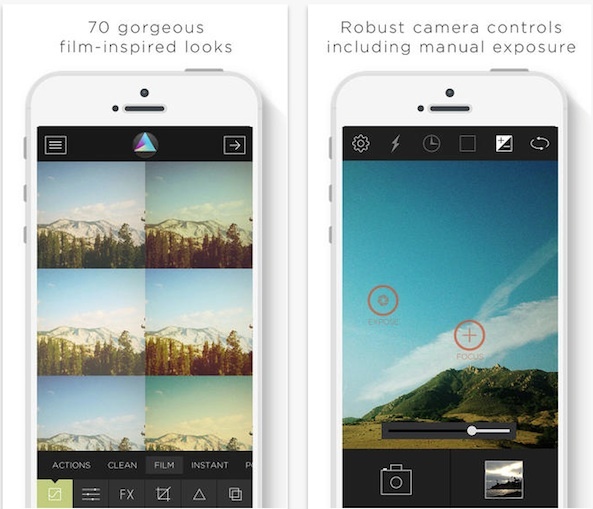 If you are a fan of filter apps, and I know there are some of you out there or there wouldn’t be so many of them in the App Store, Faded is a relatively new title that offers 34 different ways to fade your photos. 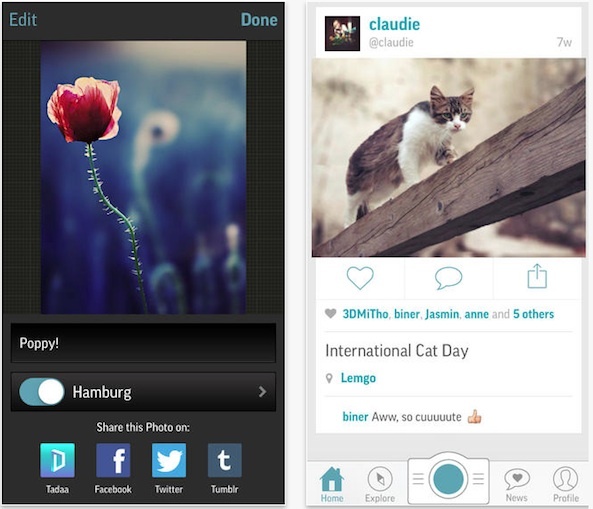 Plus, there are 36 more filters that you can add for with an in-app purchase. Each filter offers a wide variety of gradients, light leaks, emulsions, and frames so you can make your pictures shine. With the in-app camera, you can adjust the exposure, set a timer to take pictures when you are away from your iPhone and more. This app is available for $0.99. This camera app is not actually new, but it is new to me, so it will probably be new to a number of you. It recently went on sale for free, so pick it up while you can. With it, you can mask out your subject so that the background is blurry, just like you can with Tadaa SLR. However, this version adds something similar to a parallax effect that makes the subject appear to move while the background remains stationary. You can even share this amazing effect with others through Tadaa’s website. Unfortunately, the parallax effect does not transfer over to a photo you can use as wallpaper for you iPhone. Now, that would be awesome. This app is on sale for free. You may or may not know this about me already, but I am an avid D&D player. I participate in two weekly games and love every minute of dice-rolling, perception-checking fun. 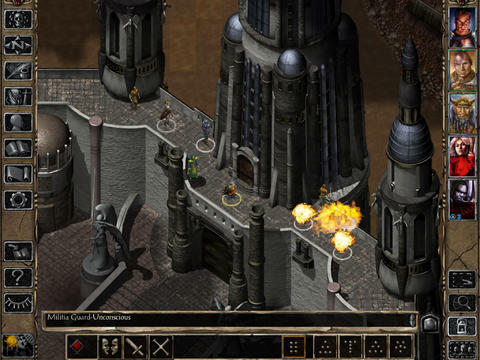 The Baldur’s Gate series of games was a huge hit with gamers, as well as fans of the tabletop game. The iPad launch of the first, and now this sequel, has rekindled a love affair with role-playing games amongst fans of both versions of D&D gameplay. The sequel includes the original Shadows of Amn campaign, as well as Throne of Bhaal and The Black Pits II expansions. Let the adventuring commence. This game is available for $14.99. Nothing beats increased productivity when every second counts. Sure, you could send yourself a link (or a picture, or whatever you can copy to a clipboard) and mail it to yourself, but wouldn’t it be cooler if you could copy on your iPhone and paste on your Mac? Well, now you can. 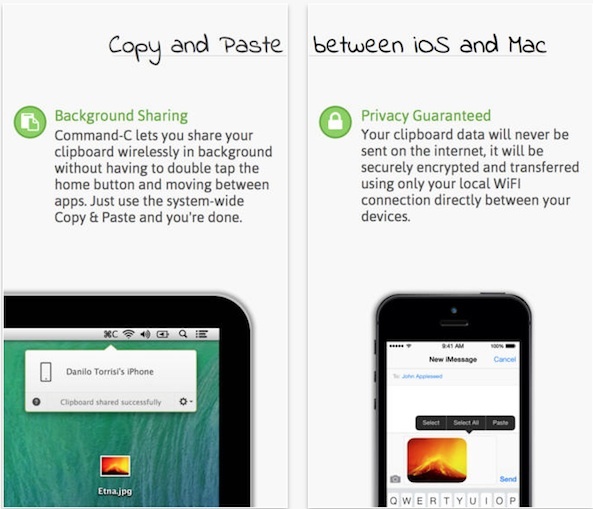 This app directly links between devices, even without the app being open, so you can copy something from your Mac and paste it on your iOS device. No need to open a third-party app to access what you’ve shared between devices. It is already there, waiting for you to paste. This app is available for $3.99. Want to keep track of upcoming weather conditions so you’ll know when it’s time to break out the umbrella (apparently never in California)? This app offers alerts and notification set-up so you will always know when the wind shifts. 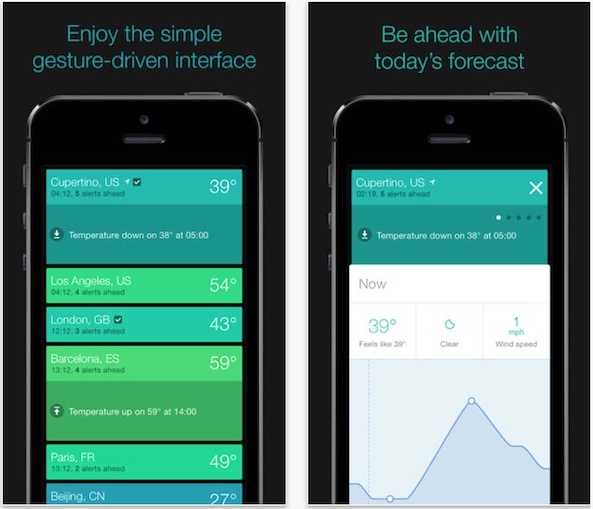 Thanks to the simple interface, users can easily see what the forecast will be. Even if you don’t check the app, you’ll be alerted to weather changes through background refresh. Find out rain, wind speed, and temperature changes, as well as hourly forecasts of the day’s weather conditions. 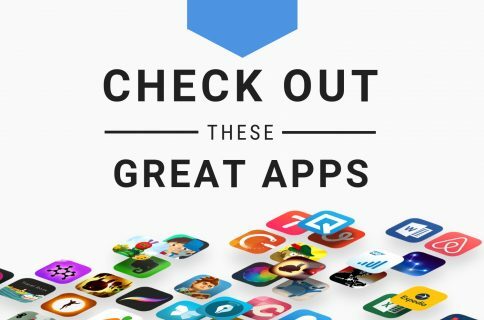 This app is available for $0.99. 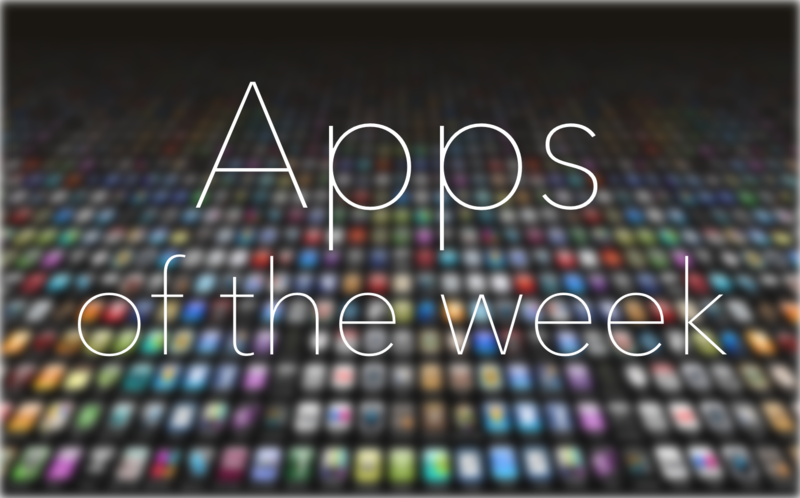 Another sequel to a popular role-playing game was launched in the App Store this week. 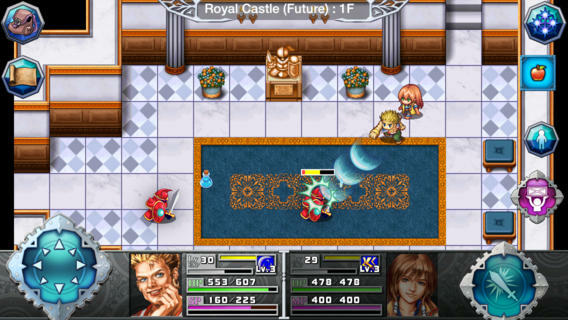 The Across Age action RPG was a huge hit in the App Store with its 16-bit retro game feel. The original and this sequel have many similarities to the early Legend of Zelda titles, without being copies of the famous RPG. In this game, you can switch between four characters, each possessing a unique ability, so you can solve puzzles, unlock doors, and discover new rooms to explore. The story rich plot will keep you interested. The game features support for the iOS 7 controller. This game is available for $3.99. Everyone’s favorite vertical jumper is back and as cute as a button. Redford and his friends are ready to jump from tree to cloud to collect as much treasure as possible. There are hundreds of new missions, lots of new power ups, colorful new worlds, and now you can activate Mega Mode for even more fun. 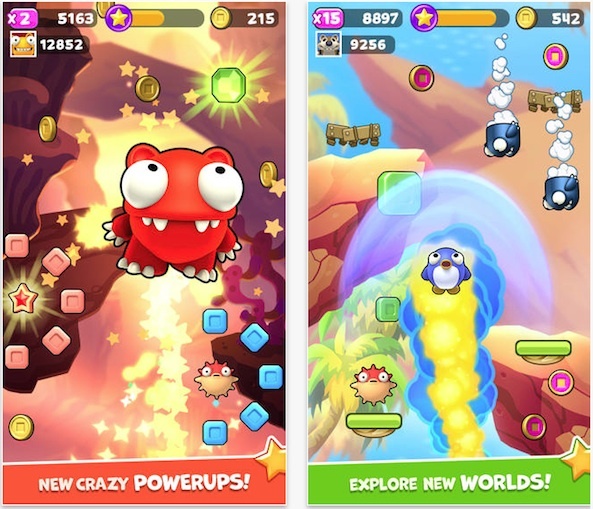 Collect monster eggs to unlock secret characters with special powers. Find the Lucky Prize to win special items. Share your progress with others to compete for the highest score. This game is available for free.